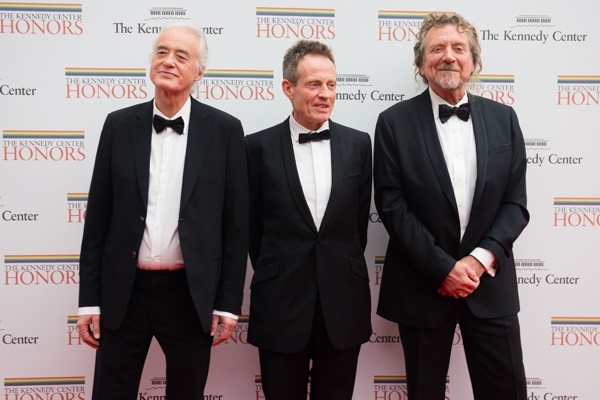 Led Zeppelin are in talks with various subscription music services for the exclusive right to stream the band's catalog, The New York Times reports. Spotify, Rdio and Rhapsody are said to be among the companies vying for Zeppelin's music. Locking down the rights to Zeppelin's songs would likely mean a considerable boost to the company that secures them, given the band's strong album sales over the years: Zeppelin have sold more than 111 million albums in the United States, including 840,000 in 2012. Still, exclusive content doesn't usually stay that way for long: the Red Hot Chili Peppers last year struck an exclusive deal with Spotify, though other services have the band's music now. A deal would be the latest digital leap forward for Zeppelin, who waited until 2007 to make their albums available through iTunes. Other high-profile acts like Pink Floyd and AC/DC haven't licensed their music for streaming services, though another former holdout, Metallica, brought their catalog to Spotify late last year.